This qualification provides for people intending to pursue focused development in the skills, capabilities, knowledge and attributes needed to succeed at NZQF Level 4 or above, within the context of a field of study or career pathway. There are five possible options to achieve the graduate outcomes of this qualification. If these five options do not suit your unique needs then select individual standards from the list below. You can then determine your own additional specific content to ensure your programme will meet the required qualification outcomes. This qualification may help graduates to access enhanced opportunities in employment and professions associated with the context of their programme. Study or training related to the context of the learner’s study at NZQF level 4 and above. New Zealand Certificate in Study and Career Preparation (level 4) [Ref: 2860]. 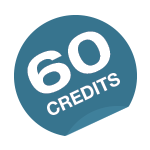 * or at the provider’s discretion choose units that make up 20 credits contextualised to the learner that meets qualification outcome 1.